Customize a bookmark for your target audience and they will see it every time they open their book. Great for brand awareness and loyalty campaigns. 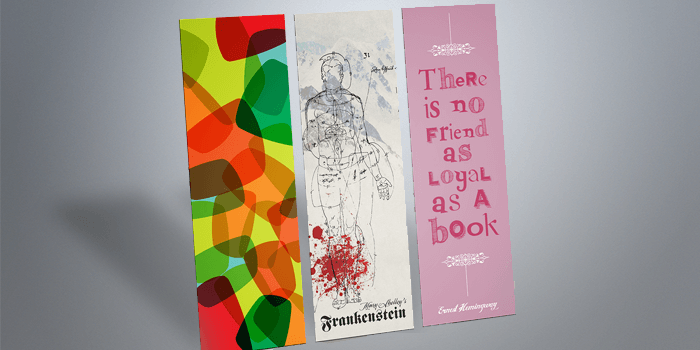 Create your own designs for bookmarks and choose from a variety of sizes. We find the best use of bookmarks in advertising is to hand them out at tradeshows or mail them to your customers with a product they ordered from yoru website. It's a great free tool for your customers to use, while promoting brand loyalty! With UZ Marketing - Print Materials, you also get to use our free online designer studio, the Easy Design Tool. This makes it easier for you to create professional print materials. You simply add text, photos, or logos and you’re done. Size 3" x 4" (VIP Card and/or Name Tag)4.25" x 3.66"8.5" x 2.75"8.5" X 3.66"